Larry the Cable Guy can't seem to escape Bigfoot. 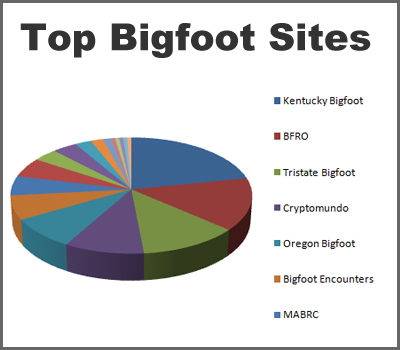 This year we have had some coverage Larry Bigfooting in Kentucky. Add Alaska to the list of states Larry may have encountered Bigfoot. I found a possible Bigfoot that was inadvertently filmed on a Larry the cable guy show while he was shooting a scene in Alaska. He was quartering a Moose with (Palmer Alaska) football team members. It was a long hike to get into the area and the creature appears to have similarities that we have seen in the Patterson Gimlin film subject. 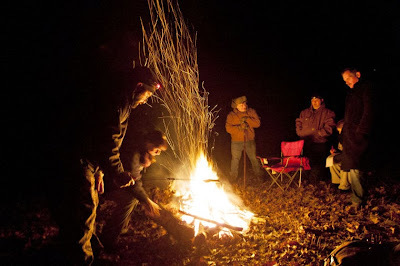 Charlie Raymond of KentuckyBigfoot.com notes, "... the dead moose had been laying there in the woods for some time before they arrived. 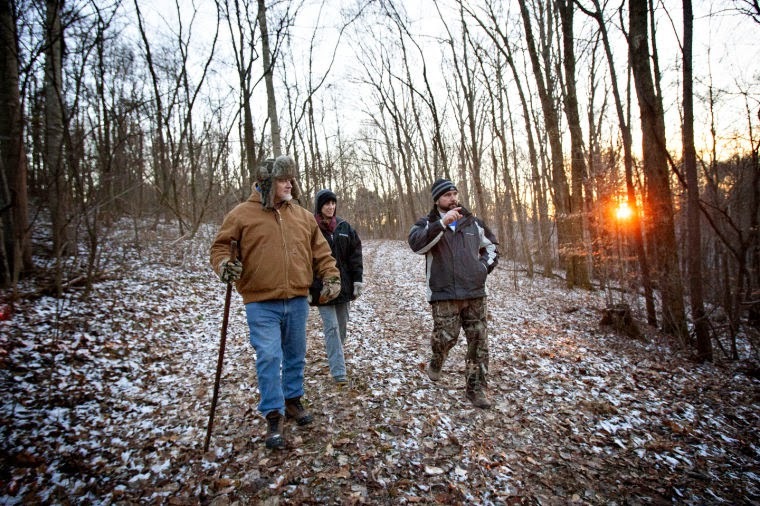 Was the bigfoot on his way to lunch?" 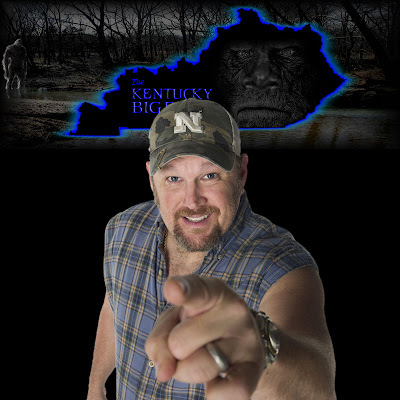 In our previous Larry The Cable Guy post we reprinted an excerpt from a Mufreesboro Post article. In the article Larry is interviewed and asked about his new season of "Only in America." 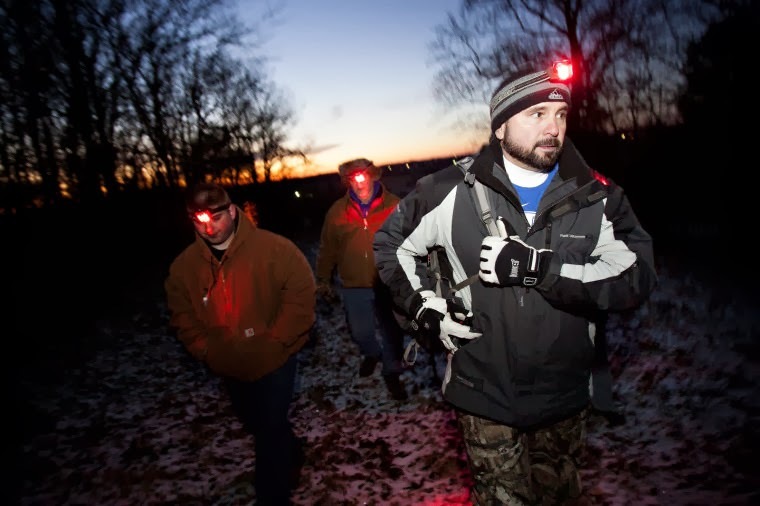 One of the topics covered was Larry's Bigfoot episode. 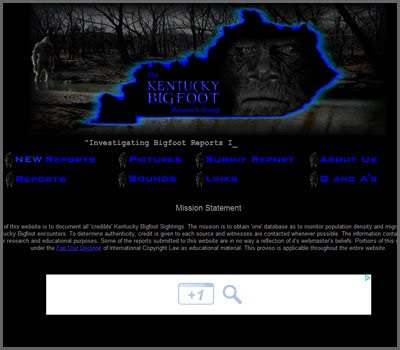 As you can see, from the quote above, at one point Larry and the crew from Kentucky Bigfoot did some calls and heard some responses. While Larry claims in the interview he was convinced somebody from his production team did the return howls, Kentucky Bigfoot is not so sure. 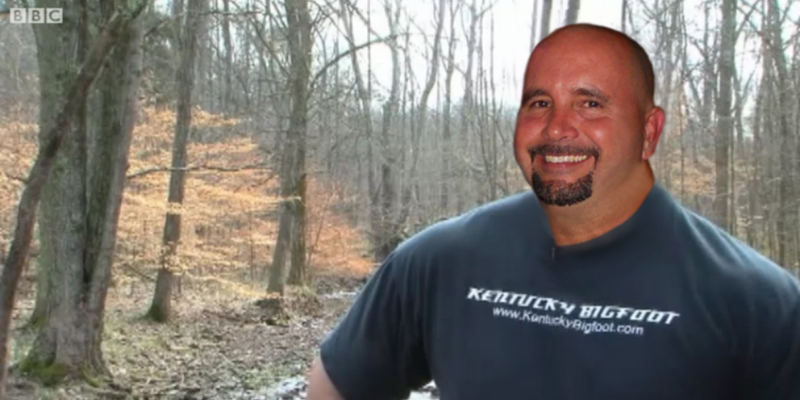 Parker Duvall, one of Kentucky Bigfoot's lead investigators, noted on BLC's Facebook Page, "Larry thought he was joked and cussed at the Producer (Eric) for pulling a trick on him......it wasn't a trick--we had a close range howl and was stunned because of cameras, amount of people, etc...."
"This is the howl isolated from our 11-11-11 investigation with the History channel. We received two vocal responses immediately after we made calls, both within seconds of each other. 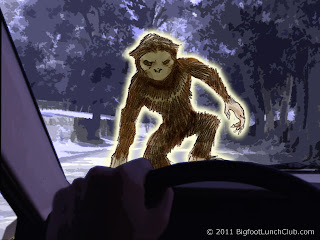 I sent the audio out for analysis by a bigfoot-sound expert/friend, Mononga Hela. Here is what he said, "The first one sounds like a yahoo vocal. The second one is a good howl. Frequency is low enough that it could be a dog, but I don't think it is. 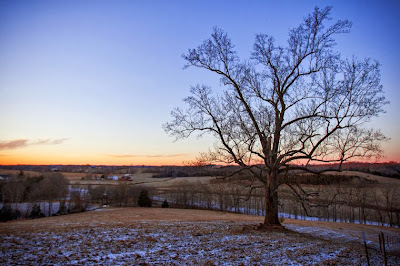 Dogs like to howl repeatedly, and throw a few barks in there too." What do you think? Based on the last line, it sounds like there was some other activity too. Didn't we say they are doing great stuff in Kentucky? 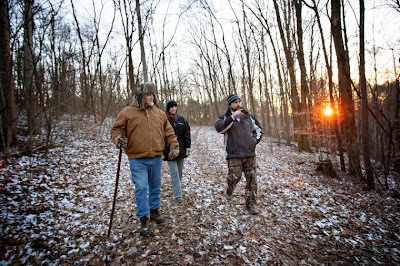 Charlie Raymond of (Kentucky Bigfoot) gave us a heads up on the whoops and yells of some Kentucky Vocalizations. 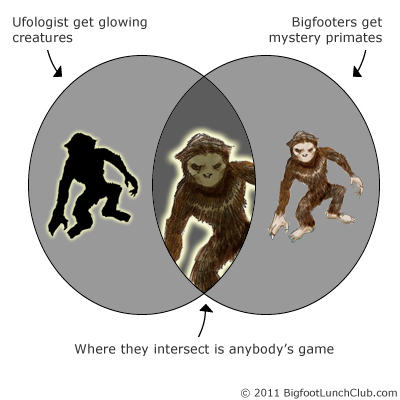 Thanks to Charlie we found a great new blog (Sasquatch Bioacoustic)and some great definitions to different types of vocalizations. Whoop modified with trailing utterances - At the two second mark of the spectrogram playback, and again at the 15 second mark, a subdued "whoop" vocal is heard. These two whoops are unique with regard to the vocal notes that follow immediately after them. These trailing notes are, to date, not seen in any other potential sasquatch recording. And as a possible first occurrence, this recording takes on added value. This type of call will be listened for in future recordings of possible sasquatch vocalizations. Moaning howl - At 20 through 29 seconds of the audio playback, a loud vocalizer (louder than the initial two whoops) emits two long moaning howls. These are very similar in construct to the moaning howls heard in the Ohio Howl (1994), Mississippi Howl (2004) and the Florida Howl (2006). 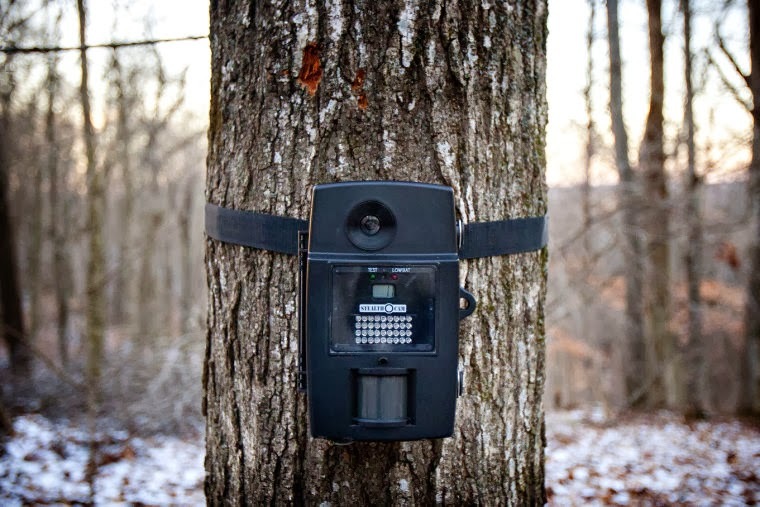 Integrated wood knock - Not a vocalization, but wood knocks are a frequently described signal in suspected sasquatch communications. From 21 to 23 seconds, during the beginning of the first moaning howl, three heavy wood knocks are made. They are difficult to hear in the original audio recording, but show up faintly in the spectrogram as light vertical bars intersecting the howl. With amplification, they are easier to hear in the filtered audio playback. Wood knocks are often integrated into sasquatch vocalizations and can be seen in both the Mississippi and Florida Howl recordings. Woot vocal - The name of this vocal is an onomatopoeia, or a name that sounds like the thing it describes. This vocal type is not commonly heard, but it has been captured in other audio recordings. 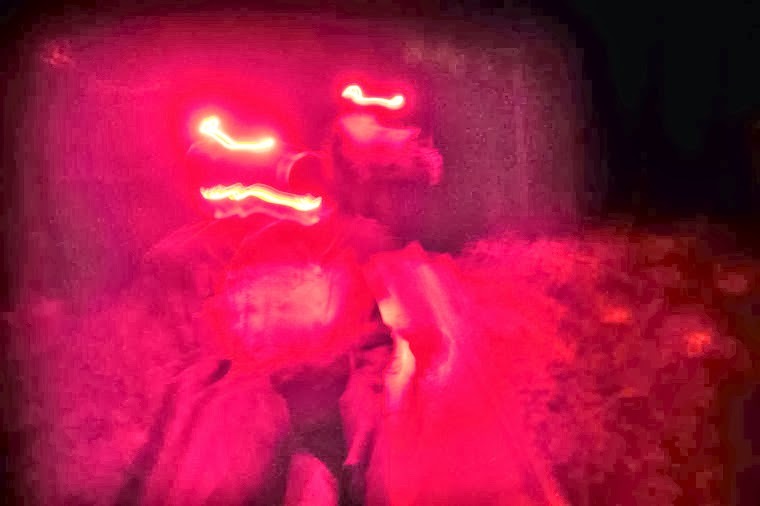 In this clip, three possible woots are uttered in rapid succession, at the 31 second mark in the spectrogram playback. They could be mistaken for wood knocks, but the lack of a broadband, woody note suggests these are indeed vocals. Yell - This vocal type is often long in duration, similar to a moan howl, but it is executed at a higher frequency. The resulting change in tone and timber creates a vocal that sounds very much like a human male yelling in the distance. Heard on its own, it would be completely indistinguishable from a human calling out. But in many instances, the yell vocal is captured in association with other suspected sasquatch vocals. In this recording, an ascending yell vocal begins just before the 32 second mark and climbs steadily in pitch for 3 seconds. Then it breaks to a higher pitched tone, briefly, before breaking again and descending in pitch to the call's conclusion. There are two additional short segments of "yell" in this clip, at the 38 and 42 second marks. But these are integrated into a unique call, discussed below in "pitch changes". Whistle - From 37 to 38 seconds in the clip, four short notes are emitted, sounding very much like whistles. They could in fact be vocals, but the airy note they contain suggests a whistle. Other examples of this vocal type exist, but more need to be captured before a conclusion might be reached. The first three whistle notes climb rapidly in pitch, and the fourth drops to a lower pitch, below the third. Of interest is the fact that the fourth whistle is emitted during a second, shorter yell vocal from the vocalizer. This suggests a second sasquatch could be uttering the whistles in response. 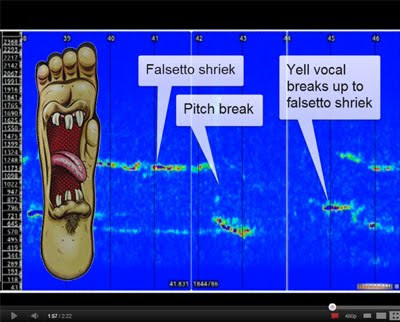 Falsetto Shriek - This vocal type was probably first captured in the 2004 Mississippi howl recording. It rounds out the sasquatch vocal range, with moan howls at the low end, yell vocals mid range, and the falsetto shriek at the high end, or in the falsetto register (if compared to a human vocal range). This clip contains two falsetto shrieks, the first at the 39 second mark, and the next at the 45 second mark. As the second shriek plays out it drops out and in again at 52 and 55 seconds. Pitch Changes - The vocals in this recording include abrupt breaks in pitch, to both higher and lower notes. These pitch changes have been observed in other sasquatch vocals with enough regularity to become something of an identifier in themselves. A future blog post will deal more specifically with pitch changes and what's been observed to date. But for this clip the reader should note the minor pitch changes at 35 and 36 seconds, and the significant pitch changes at 39, 42 and 45 seconds. These latter mark the transition from a yell vocal into and out of a falsetto shriek, as described above.